This camp focuses on the enjoyment and skill development of singing, choreography, and acting. Participants work with the assistance of instructors to rehearse and deliver a musical theatre performance on the last day of camp. Young performers are involved in all elements of the production, including prop selection, costumes, music, staging and more. 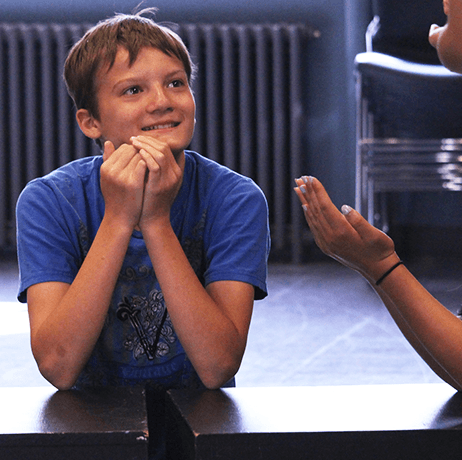 Theatrical performance and production will help campers fine tune their stage presence, public speaking skills, and cooperative decision making skills. Lunch supervision is included. EXTRA CARE BONUS for 2019: This Spring we will be offering complimentary extended care until 4:45pm at St. Anselm’s Church (this does not apply to other camps or locations)! No registration necessary. Unstructured quiet activities will be offered to campers (colouring, board games, etc.). With half of each day focused on creating props for their final show, campers will find themselves fully immersed in the magic of live theatre!